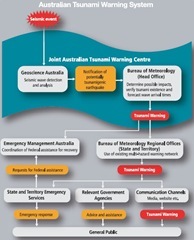 Joint Australian Tsunami Warning Centre (JATWC), part of the Australian Tsunami Warning System (ATWS) was officially launched in Melbourne on October 31. The JATWC can now assess any threat to Australian shores within 30 minutes from the time an undersea earthquake is detected. The JATWC also joins a network of international tsunami watch centres that cooperate under arrangements coordinated by the UNESCO Intergovernmental Oceanographic Commission (IOC). Australia has potential tsunami threat from the Sunda Trench and Timor Trough (see map on the right). 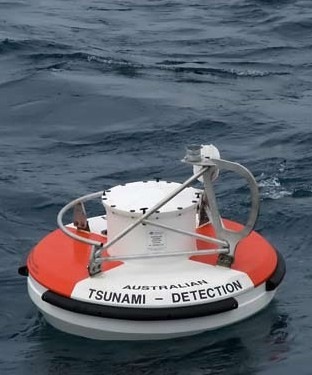 As a consequence of Indonesian tsunami on December 26, 2004 the Australian government realized the necessity to have an independent capability to detect, monitor, verify and warn the citizens of the existence of tsunami and possible threats to Australian coastal locations and offshore islands. 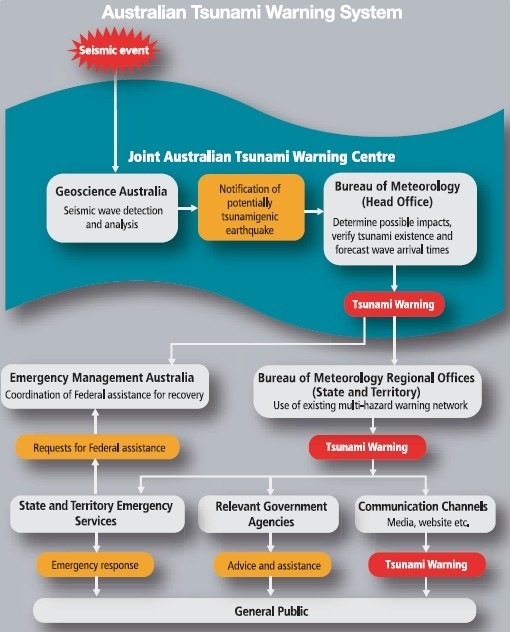 Under the Federal Budget of 2005, Geoscience Australia (GA), the Bureau of Meteorology (the Bureau) and Emergency Management Australia (EMA) were entrusted with the task of upgrading the Australian Tsunami Alert System to a fully operational, early warning system – the Australian Tsunami Warning System (ATWS) – by June 2009. Four-year project at a cost of $68.9 million. GA receives real-time data from over 50 seismic stations in Australia, and more than 120 international seismic stations. The Bureau receives real time sea level observations through highly sensitive instruments that can verify whether an earthquake has generated a tsunami as well as monitoring its path.The data are provided by coastal sea level stations and deep-ocean tsunami detection buoys. The JATWC integrates the operational roles of GA and the Bureau. 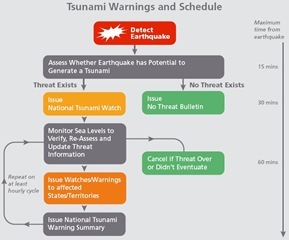 When GA notifies the Bureau of any earthquakes that may cause a tsunami, the Bureau then uses its network of sea-level monitoring equipment to determine the existence of a tsunami and issues a tsunami warning if required. In case of tsunami warning, Emergency Management Australia (EMA) liaises with the operations centres of affected State and Territory emergency management organizations and coordinates Federal assistance as required. 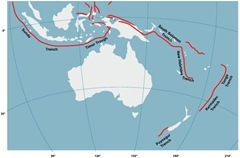 EMA also enhances public awareness and preparedness for tsunami in Australia. Five in no Deep-ocean Assessment and Reporting of Tsunami (DART) buoys have been deployed off the coast of Australia so far to monitor changes in the sea level for signs of potential tsunami threat from the Sunda Trench and Timor Trough. 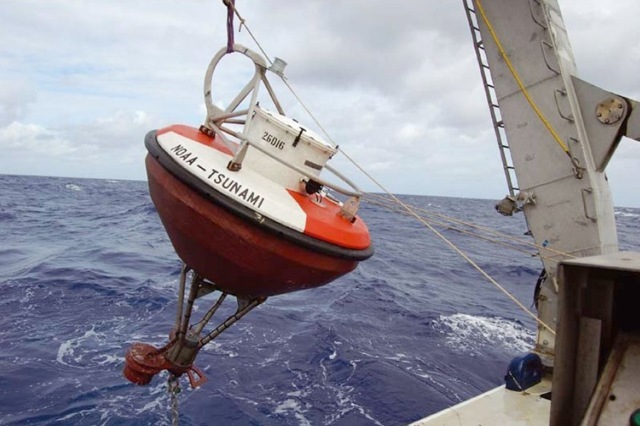 The DART buoys consist of a bottom pressure sensor that is anchored to the sea floor, and a companion moored surface buoy. 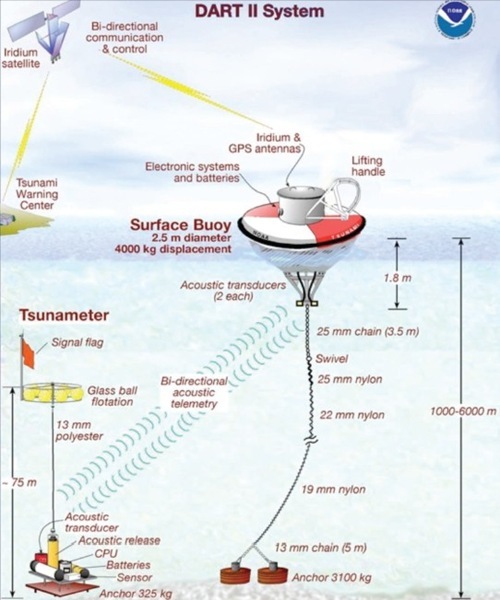 An acoustic link transmits data from the bottom pressure sensor to the surface buoy, and then satellite links relay the data to warning centres for scientific analysis by the Bureau. 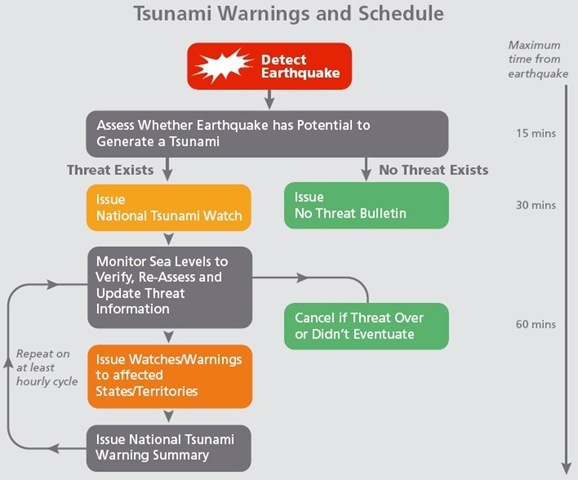 Here are the charts showing the Australian Tsunami Warning System (ATWS) and Response Time. Here are photographs showing the deployment of DART. Here is a sketch showing the DART II system. All the above images are from JATWC and for more information, log on to JATWC.